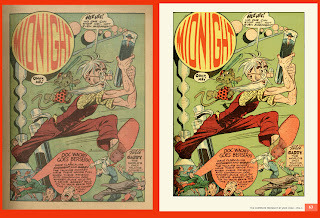 Nearly all golden age comic books were printed in color. Many times, the artist had no input at all on the coloring. At Quality, Jack Cole’s primary publisher, it is said the publisher, one “Busy” Arnold, directed the coloring himself, preferring bright red reds and blues, often in shimmering combinations that have caused some to theorize that Arnold may have been color blind! When you look at pages by a master such as Jack Cole in black and white, you somehow get closer to the art, and the artist’s intentions. You see the page as the artist saw and worked on it. When the artist inked his pencils, as Cole so often did, you can also more easily see and appreciate his careful line work and collection of techniques for rendering textures, shadows, and forms. Since it appears that no original art for any of Jack Cole’s comic book work is in circulation, there are scant opportunities to study his line work without color. Here are two Jack Cole stories, originally published in color and here reprinted in black and white. The first comes from Golden Age Greats #10 (AC Comics, 1996). I’m not sure how this publisher derived black and white pages from the original color pages. Perhaps they used a process called Theakstonizing (after comics historian and restorer Greg Theakston), which uses chemicals to leech the color from printed pages. The story could be traced, as well. The art has clearly been retouched, as grey tones have been added. Perhaps the story is simply nicely Photoshopped. In any case, it’s a treat. Overall, the publisher has respected Cole’s work, and Cole’s magic is present in spades here. 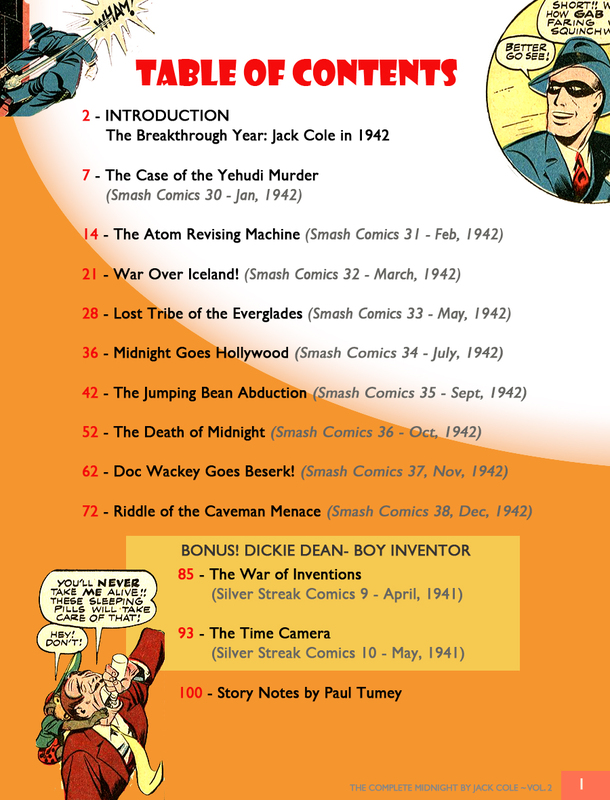 Golden Age Greats #10 is long out of print, so I feel it’s OK to share this wonderful story. Especially since only a blurry, almost unreadable microfiche scan is in digital circulation at this time. However, AC Comics is still active and has hundreds of great books available that tie into the Golden Age. Check out their site, where you can purchase these cool comics. What a wild ride! Whew! This story is the last of Cole’s CLAW stories, a series he created for Lev Gleason and the first true signs that comic book stories by Jack Cole are something special. Although the first CLAW stories were straight-ahead, deeply sincere hero stories, by issue 10, Cole has begun to experiment with the winning combination of superhero and humor that would come to define much of his comic book work in the 1940s. The perfectly timed sequence at the end of page two (the set-up) and the start of page three (the punch line) is sublimely startling. We see the form of a shapely woman (another classic Cole motif making an early appearance here) and assume that she is no doubt THE CLAW’s next pitiable victim. However, our expectations –- created by the already worn-thin clichés of pulp magazines, adventure books, and even comic books – are delightfully thwarted as the beauty is shown to be wearing fake buck teeth. This mix of dread and humor, female beauty, and pranksterism all wrapped up in a satirical sequence that goes by in the blink of an eye is classic Jack Cole. 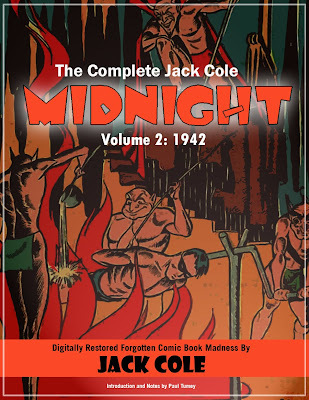 The “funny face” gag would reappear – with no less of a delightfully unexpected effect -- about a year later, in Jack Cole’s MIDNIGHT story in Smash Comics #22 (May, 1941), when the intrepid hero protects his secret identity from discovery by simply making faces. A panel from this sequence is shown at left. 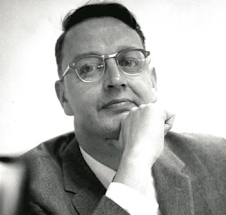 I’ve written extensively in this blog about Jack Cole’s core theme of shapeshifting, most often manifested by face-changing. These two early humorous sequences are variations of Cole’s core theme. The CLAW story also climaxes with an erupting volcano – another motif that Cole returned to over and over again. It is difficult, studying the image here in black and white, to escape the sexual/phallic symbolism. There are, after all, few things more climactic than sexual explosion. Just a few scant years into his career, Cole was already tapping into powerful archetypal imagery, probably unconsciously, at this early stage. Looking at an example of Jack Cole’s art from 1940, one is surprised to see layers of detail that are often obscured by dark colors. In this panel from page two, Cole lavishes his time and energy to create a vertiginous cityscape that what most artists of this time would treat much more simply (and quickly). Note the Chrysler spire in this drawing. Cole was born and raised in the small town of New Castle, Pennsylvania. When he drew this spectacular image, he had lived in Manhattan for about three years. His drawing here, buried in a cheap, throw-away comic, is a powerful a hymn to the magic of New York in the 1940’s that, to my thinking, has qualities of fine art. Perhaps because so many comic book creators of the 1940’s lived and worked in New York, the city itself is almost a character in their work. When I first encountered Plastic Man (in the DC Special reprint book), I was living in a small southern town, and was fascinated by the urban settings. Another technique that pops out in this black and white version is the way Cole draws stone walls. Simply filling in the numerous blacks in the above two panels must have been very time consuming., Incidentally, this very technique also shows up the early 1940s SPIRIT stories. In all, even though Cole at this stage of his career is hardly an expert draftsman, and his anatomy is often awkward, we see the young artist putting in inspired touches at every opportunity. To compare, here is a story from about 10 years later, from Plastic Man #30 (July, 1951). This was a period where the comic book industry in general was shifting from all superheroes to other genres, and in response, Jack Cole (as well as many other comic book artists of the time) adopted a new, more “realistic” and toned down visual style. 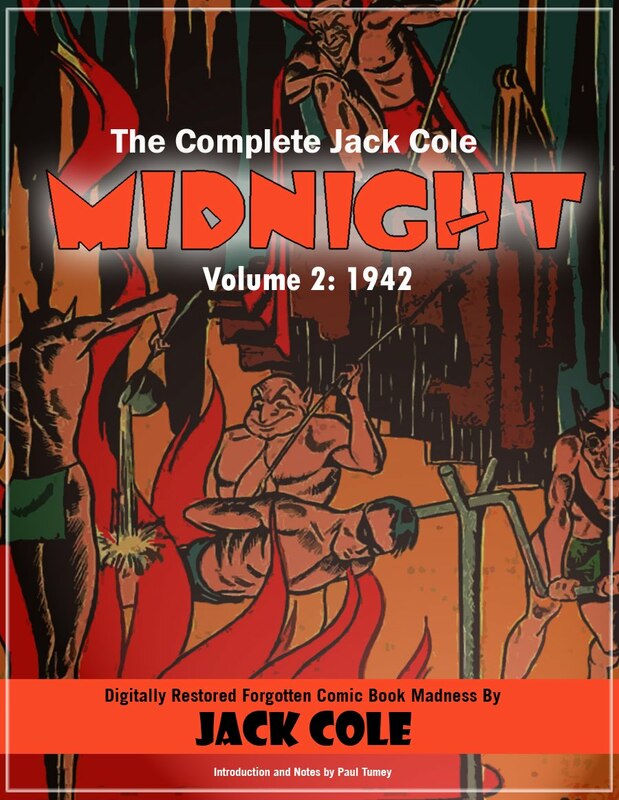 The story itself is pretty awful, and not one of Jack Cole’s best efforts, by any means. Reading this particular story, it is hard to see why anyone would rave over Cole’s work. Still, it is interesting to study the artwork itself, laid bare in black and white. T he story was reprinted in the summer of 1952, about a year after it was first published, in an odd, thick, square bound volumes called The Ajax Adventure Annual. To the left is a page from the flyleaf, with a wonderfully crude drawing of Pals and Woozy. As far as I can tell, the book consisted of reprints from other comics. Why in the world such a lackluster Plastic Man story was chosen to reprint remains a mystery to this day, but I will say that the quality of the selection is in keeping with the rest of the drab material in this volume. In fact, the Plastic Man story is the best thing about this book! 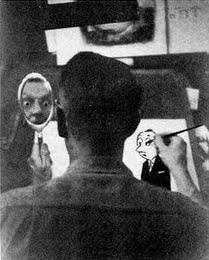 The presence of a Plastic Man story in this black and white book suggests the art was created from the originals, or perhaps photostats. Thus, even though the story is nowhere near Cole at his best, it is perhaps the closet thing we have to being able to look at un-retouched original art from his Plastic Man work. It’s possible that Cole’s pencils are inked by another artist, here, but it’s my best guess – drawn from hundred of hours of study of Cole’s work – that Cole penciled and inked this story himself. Cole’s post 1950 Plastic Man stories shifted from brilliant, over-the-top baroque cartooning to a shadowy and disturbing style that, in its own way, is just as brilliant as anything Cole ever did. What we have here, is an example of a story from the beginning of that transition. Here, we see Cole stretching Plastic Man less. In fact, Plastic Man’s body is often awkward and ungainly, perhaps reflecting how Cole – a tall, shy man - may have felt. At first, one is tempted to dismiss these clumsy images of Plastic Man as the work of another, less skilled artist. I could be wrong, but to me, this is Cole all the way. 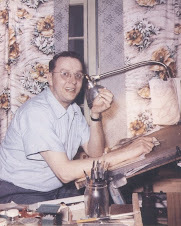 Much like Jack Kirby found a way, in his early FANTASTIC FOUR stories (which had a stretching man character) to both tone down the imagery and root it in a world that has a more direct correspondence with our time and culture, so Jack Cole was working to mature his style and character. In short, Plastic Man is growing up in these stories. The exuberant but simple work of the 1940 CLAW story has evolved into a world where the fantastic characters are weighted down with worry, responsibility, and fatigue. And, in a few months, Cole would invest his characters with dread and terror. First off, the placement of figures and composition is masterful, constantly leading the eye from left to right. Second, the expressions on the woman villain’s face reveal a great deal of human emotion; in this case, annoyance. Contrasting with the representational figure and facial expressions of the woman is the cartoony Woozy. In the middle panel, his facial expression is pure “bigfoot” cartooning. Somehow, Cole makes the two visual styles work together naturally, even organically. It’s easy to dismiss Cole’s later work as being uninteresting visually, but a closer examination reveals layers of depth. It’s nothing short of marvelous how Cole gets the effect of a fold in the suit arm not with the usual slashing brushstrokes that almost every other artist of the time employed, but with a clever displacement of the striped pattern. (One way to tell this story is Cole’s art is to observe the loving use of patterns throughout). One can also appreciate the strong individuality of the face of the man in the striped suit. Look at the mix of straight and curly hair, the slouching head, and the wattled neck flesh. This is no Chester Gould style bizarre villain, but more of a Daniel Clowes character -- fascinatingly ugly and unflinchingly honest. It could be observed that, as a writer, Jack Cole lost a great deal of steam after 1949, but it’s clear that the level of craftsmanship in his visual art, and his inventiveness as a powerful stylist continued to evolve and improve right up until the abrupt end of his life. In looking at Jack Cole’s comic book work in a couple of rare black and white examples, one comes away with an even greater appreciation of the artist’s massive talent and deep commitment to his craft. Hello Friends. It’s time once again for another installment of IS THIS COLE (imagine booming announcer voice echoing in stadium). In today’s installment, we look at Uncle Sam Quarterly #1 (Autumn, 1941). This super cool comic was packaged by the Eisner-Iger studio and is the work of many talented hands, including Will Eisner, Lou Fine, and – quite likely – Jack Cole. Overstreet’s lists Jack Cole as one of the artists on this book. However, the stories in the book are uncredited and I can find no definitive source for which pages might be by Jack Cole. A close scrutiny reveals a short sequence, 2-pages of which appear to be written and drawn by Jack Cole. The story begins, as do all the stories in this stylish book, with a super-cool splash page (not by Cole). The next two pages could possibly be the work of a rushed Jack Cole. The art resembles very much the work he was doing in 1940-41, such as his SILVER STREAK and MIDNIGHT stories. The third page (above) looks the most like the work of Jack Cole of any of the pages in this comic book. Panel 5 is a classic physical pose that only Cole drew. And, of course, Cole loved to draw flames, as we have observed many times in this blog. The last page of this story is an awkward, but nonetheless impressive two-page spread, rare for comics in this day and age. Could this be the work of Cole? I’ve looked at this a page a lot, and I simply cannot tell. It is a little awkward for Cole, but then again, it’s a challenging subject. The ambition of the layout matches Cole’s exuberance of this time period. If it is by Cole, it would be, as far as I know, his only double-page spread. It's unusual it is to see Cole work on just part of a story. He typically made his own comics start to finish, which is part of makes his body of work stand out in comics. Perhaps Jack Cole's work on the two pages of this story was a "try out" job for the Eisner-Iger studio. Cole would go on to do a lot of work for this studio, which was closely connected with Quality Comics. 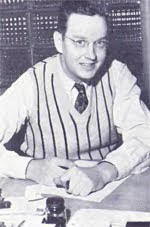 Cole not only ghosted the studio's main character, THE SPIRIT, but he also contributed material to Crack Comics and Military Comics, both of which were published by Quality but packaged by Eisner-Iger. What do you think, dear readers? IS THIS COLE?